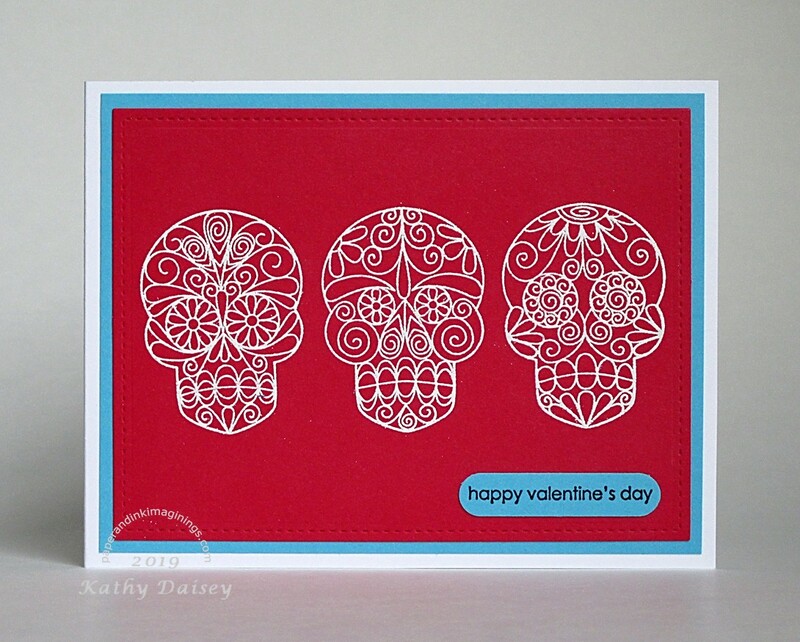 Here is the card I made for Offspring3 – with her favorite calaveras (sugar skulls). Also, a few photos from our 2 day ice event (Monday 2/11/19 and Tuesday 2/12/19). These photos are from Tuesday. Remember – you can click on any photos on my blog and get a larger view in a new window. The first photo of the morning – before daylight. 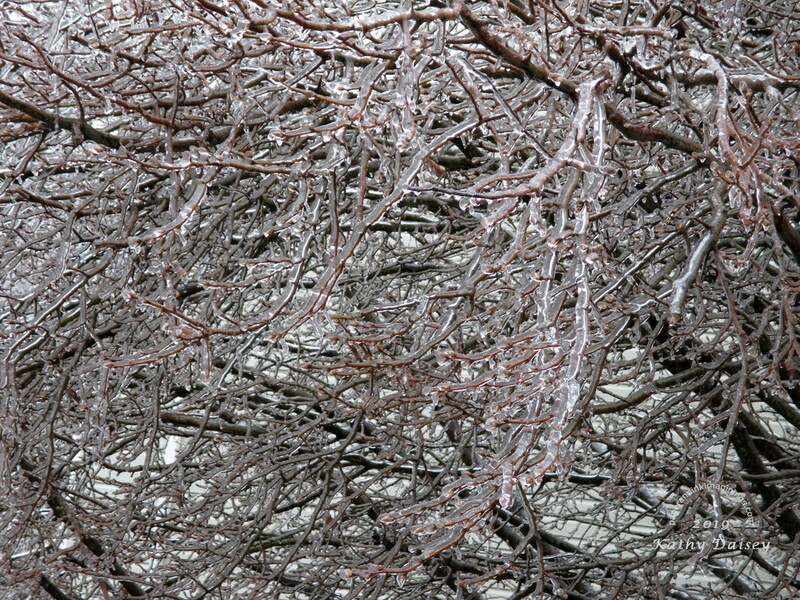 Around 11:00am – look at how much ice is on these branches!! This is the second leaning pear tree canopy from my master bedroom window (back of house). Yes, I was leaning out the open window, and zooming to get the ice detail – the branches were not actually covering my window. Supplies: Stamps – Newton’s Nook, Stampin’ Up!, paper – Neenah Classic Crest Solar White, Stampin’ Up! Real Red, Tempting Turquoise (retired), inks – Hero Arts Unicorn, VersaFine Onyx Black, die – Lawn Fawn, rounded tag punch – Stampin’ Up!, embossing powders – Filigree Fine Art Powder white, Stampendous Detail clear. Categories: card, Valentine's Day | Tags: card, Hero Arts, Lawn Fawn, Neenah, Newton's Nook, Stampendous, Stampin' Up!, Tsukineko, VersaFine | Permalink. 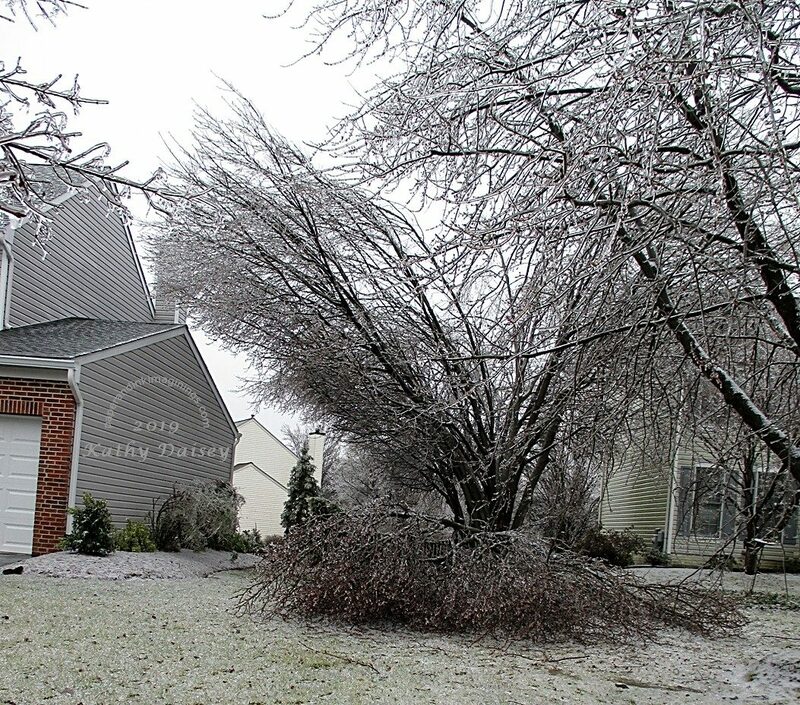 Wow, looks so cold, glad your house wasn’t hit by the trees and all is safe and well. Love your sugar skulls. Happy Valentine’s Day! Thanks, Jenny! The actual temperature for the ice on Monday and Tuesday was 31 or 32 degrees (Fahrenheit). And almost an inch of rain on Tuesday. The weather is so changeable these days, mind you it’s always very changeable in Scotland. We really do get 4 seasons in one day here! Maryland and Scotland are similar! We can have 4 seasons in one day as well (not often, but it does happen). very cool V-day card. 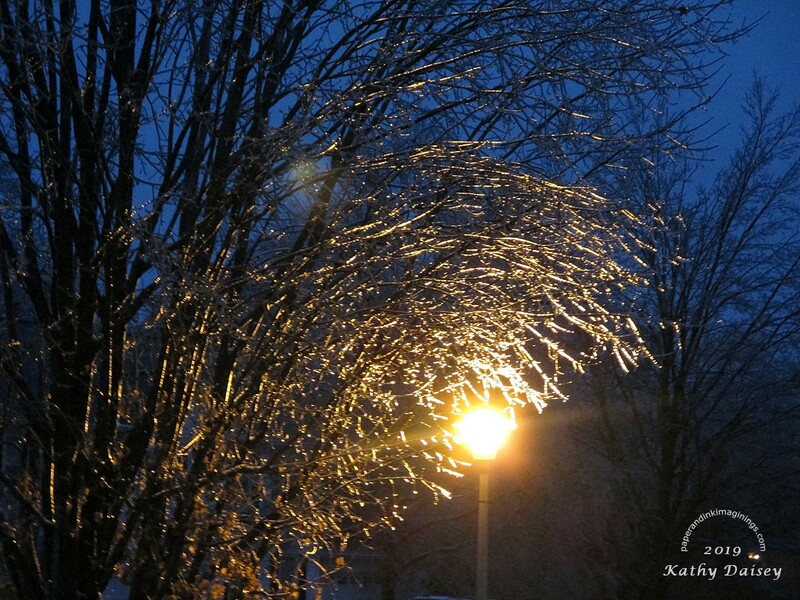 that was some ice we had, nice pictures. hope that tree straightened up. Thanks, Mike! The trees actually got sacrificed in the name of house safety today – the neighbors had them taken down. (Photo tomorrow) They have been an accident waiting to happen for the last 5 years. I hate to see beautiful trees taken down, but I also don’t like the threat to the houses – the trees were too big for the space they were in.